Three Union Territories — Lakshadweep, Daman & Diu, and Dadra & Nagar Haveli — are run by ex-BJP leaders. A recent EC ruling has effectively exempted the office from the model code of conduct. 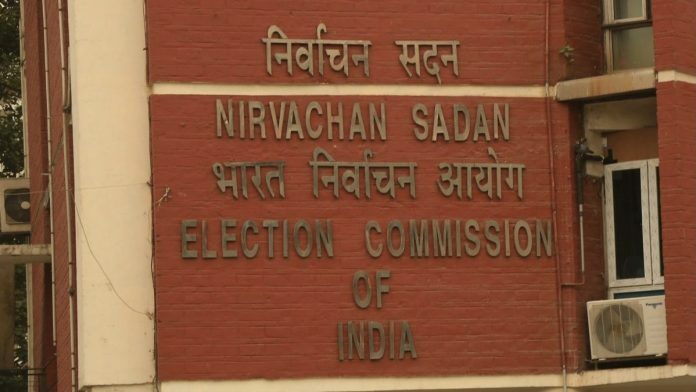 New Delhi: The Election Commission has ruled that administrators of union territories will come under the same provisions of the model code of conduct as governors, effectively exempting them from the campaign guidelines. The office of an administrator is not largely ceremonial like a governor’s, and holds executive powers. It has been held by IAS officers over the years, but the Narendra Modi administration has appointed former Bharatiya Janata Party (BJP) members as administrators in three UTs, leading to doubts that the EC ruling might be misused. Highly-placed EC sources told ThePrint that the panel communicated the ruling to UTs recently. Of India’s seven union territories, two — Delhi and Puducherry— are administered by a lieutenant governor along with an elected legislature. Chandigarh falls under the jurisdiction of the Punjab governor, aided by the advice of an IAS officer, while Andaman & Nicobar Islands are governed by a lieutenant governor without a legislature. The three others — Lakshadweep, Daman & Diu, and Dadra & Nagar Haveli — are overseen by administrators. According to the constitutional provisions stated on the Ministry of Home Affairs (MHA) website, “Daman and Diu, Dadra and Nagar Haveli and Lakshadweep are administered through IAS officers who are appointed as administrators”. However, the Narendra Modi government has broken from the norm to appoint former politicians to the post: Dadra & Nagar Haveli and Daman & Diu are administered by former Gujarat home minister and Bharatiya Janata Party (BJP) member Praful Khoda Patel, known to be close to Modi, and Lakshadweep is overseen by Farooq Khan, a former IPS officer who once served as BJP national secretary. Both these appointments were made in 2016. The LG of Andaman & Nicobar is an apolitical appointee, former Navy chief Admiral D.K. Joshi (Retd), who took office in October 2017. The role of administrators and LGs without legislatures is largely synonymous, with the Constitution stating that it is the President’s call to specify the designation. However, the office-holder for each of the UTs has held the same designation over the years. Barring Delhi, all the six union territories send one MP each to the Lok Sabha. The questions raised by the EC ruling on model code exemption centre on the difference between a governor and administrator’s office. While governors serve a largely ceremonial role aided and advised by the elected legislature — a fact also true for UTs with an LG and elected assembly — administrators and LGs of UTs without legislatures also perform the executive’s role. Constitutional expert Subhash Kashyap told ThePrint that it is for the President of India to decide the powers of an administrator. “These powers can be different for different UTs,” he added. “For instance, Delhi is governed by the Government of NCT Act, 1991. It differs for others,” he said. The Election Commission does not have clearly-defined guidelines on the kind of provisions that apply to governors during the model code of conduct, making it a grey area. ThePrint tried to reach the EC for comment, but was directed to the document listing the model code of conduct. All the EC manual on the model code of conduct says on the subject is that governors can participate and address convocations — while chief ministers are “advised not to” — which suggests the rules for the two offices vary. Deciding the applicability of the model code on administrators, EC insiders said, was a somewhat tricky prospect for the poll panel, given the fact that the office is currently held in three UTs by incumbents who have had clear party affiliations. Weighing in on the possible problems the order may create, former chief election commissioner S.Y. Quraishi told ThePrint that administrators’ blanket exemption from the model code of conduct for administrators could lead to the misuse of their office. “A political past is not a problem, but it’s the political present which should be taken note of,” he added. The post of governors, Quraishi said, was largely ceremonial, but “even they should also avoid any action or speech which can influence voters”. It’s an opinion others hold as well. Puducherry LG Kiran Bedi suspended all her public programmes and Twitter activity after the model code kicked in, while Patel’s Twitter account has been quiet since 11 March, a day after the election dates were announced. Khan’s account, which is unverified, has been inactive since September 2018.